The voice of America’s bullied and author of The Seminal New York Times bestseller “Please Stop Laughing at Me” and three other award winning books on the subject. 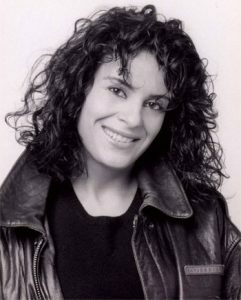 Survivor, expert and activist Jodee Blanco is one of the country’s pre-eminent voices on the subject of bullying. She is the author of The New York Times bestselling memoir, Please Stop Laughing At Me… One Woman’s Inspirational Story. A chronicle of her years as the student outcast, the book inspired a movement among bullying victims everywhere of all ages–in middle and high schools, on college campuses, at the workplace, and at home, who fill auditoriums and gymnasiums coast to coast to hear Blanco speak on how they too can reclaim their dignity and their lives. Referred to by many as “the anti-bullying bible,” it is required reading in hundreds of middle and high schools and numerous universities and professional organizations throughout the country. Blanco’s work as a survivor turned activist has been recognized by The National Crime Prevention Council, The Department of Health & Human Services, the National Association of Youth Courts, Special Olympics, The FCCLA (Family, Career and Community Leaders of America), and hundreds of state and local entities from the PTA, regional law enforcement coalitions and suicide prevention organizations to school safety groups, mental health advocacy groups, and drug prevention programs. 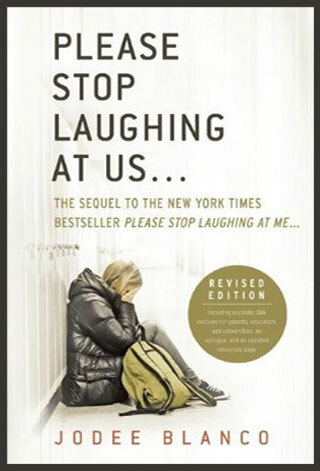 Blanco’s award winning sequel, Please Stop Laughing at Us… (BenBella Books), was written in response to the demand for more information from her core audience-teens, teachers, parents and other Adult Survivors of Peer Abuse like herself, who have come to know Blanco as the champion of their cause. It provides advice and solutions set against the backdrop of her dramatic personal and professional journey as the survivor who unexpectedly finds herself the country’s most sought-after anti-bullying activist. 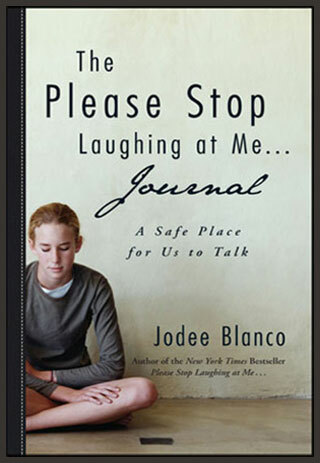 Blanco released a companion journal to Please Stop Laughing At Me… entitled The Please Stop Laughing At Me…Journal: A Safe Place for Us to Talk, in which she helps draw teens out of silence to a place of renewed self-understanding and acceptance. Chock-full of insightful quotes, practical activities, and meaningful questions, Jodee gives young readers a safe place to vent, accompanying them on a guided tour of their deepest thoughts and emotions. 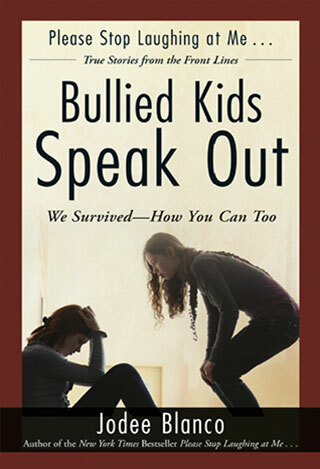 While Blanco’s unprecedented approach to shifting the social dynamic for bullying victims of all walks of life continues to make headlines worldwide, it is her dramatic success inside America’s schools that has established her as a singular force in the field, and enabled her to understand bullying in all its forms. Her compelling approach to adult bullying emanates from that rare place of understanding that only someone who deals with the issue can grasp. She’s presented It’s NOT Just Joking Around!™, her acclaimed in-school anti-bullying program, to a combined audience of over five-hundred thousand students, teachers and parents nationwide at the behest of such entities as The United States Department of Interior, The United States Department of Justice, The National Catholic Educational Association, The American School Counselor’s Association, The Washington School Counselor’s Association, Kentucky Association of School Administrators, The Superintendents’ Round Table, The Illinois Association of School Boards and scores of local school districts, many of whom are adopting her initiatives as part of their core bullying prevention curriculum. It’s NOT Just Joking Around! has also generated hundreds of thousands of dollars in grant awards for schools and organizations coast to coast. On the international front, the Archdioceses of Curacea and Guam, the schools of Guatemala, the Prime Minister of Trinidad/Tobago, and the Canadian Frontier Schools Division, on behalf of its aboriginal communities, have all brought in Blanco to implement her anti-bullying program in their countries. Blanco has introduced a comprehensive character development curriculum as an optional follow up to her live presentations. In its first year of implementation, schools have already began crediting this innovative program with significantly improving the relationship between faculty and students, facilitating more open and productive communication, and helping to sustain a more compassionate culture in the hallways and the classrooms. Blanco has successfully intervened in many bullying related attempted suicides and acts of victim retaliation ranging from desperate, lonely teens with “hit lists” and badly treated employees at the end of their rope wanting to “end it all” to grief-stricken parents unable to move on. These people open up to Blanco because they see in her a kindred spirit, someone who’s willing to crawl down inside the hole where they’re trapped, and guide them out the same way she did for herself. The media also turn to Jodee frequently as an expert interview, including CBS, ABC, NBC, FOX, CNN, HLN, Newsweek, US News & World Report, and her story has been featured on The CBS Evening News, the cover of Teen Newsweek, USA Today, Parade Magazine, and she has bylined pieces for CNN.COM, USAToday.com, Dr Laura, and The Huffington Post, among many others. Blanco has been helping the misunderstood, ostracized, and forgotten reclaim that right around the world – every day. Since the release of Please Stop Laughing At Me…, she has committed her life to turning her pain into purpose. Inspired by the thousands of letters and requests she receives for help, she travels non-stop sharing her story of forgiveness and triumph. One of the most sought‑after keynote/motivational speakers and seminar presenters, Blanco’s talks are redefining the scope of possibilities for curbing suffering in our schools, corporations, and communities worldwide. Blanco’s work has been published in Japanese, Chinese, Danish, Lithuanian, Indonesian and Arabic. She lives in Chicago. To see Jodee’s corporate CV, click here.